As we get closer to embarking on the 2018 Week In The Life™ I wanted to start off with a Q+A post using questions collected from the Craft The Story™ and Week In The Life™ Facebook Groups. Just a reminder that the "official" documenting week will start on May 7th. During that week I'll share my words and photos each day on my blog and then I'll start the process of putting my album together after that week. Also, here's a post I wrote last year in advance of this project that might be helpful: Things I've Loved + Things I've Learned. Check out all my past Week In The Life™ blog posts here (includes word + photo posts and completed album posts). Also, here's a Getting Ready post from 2016 with some good tips. Susanne // I would love to know if you had a rough time estimate for the chipboard to be back in stock please? Hi Susanne - unfortunately we are not restocking that product this year. Our hope is to adjust future quantities of the chipboard sets to be able to meet more of the demand. Since the chipboard set is produced in China it has a much longer lead time than other products we can get in the warehouse. Kelly // Will you do a vlog for WITL like you did for your last DITL? Hi Kelly - I don't think so. I am really looking forward to focusing on the photography aspect of this project. I loved doing video for that last Day In The Life™ and I'll probably do that again in the future but for this project it just feels like too much. That said, you never know what I might decide at the last minute. Stefanie // Are any of the creative team members using the 3x8 album? All the unboxing vids had the 6x8 - I am hoping for some inspiration from any of the ladies. Hi Stefanie - yes, a few of them are using the 3x8 album and I can't wait to see how it goes for them. I know Brandi, Ingunn, Lory, Lisa and Jenny for sure. You can find links to each of them here. Also heads up that these have been restocked and are now available. Sarah // How much do you plan ahead and how much is in the moment? If you do some pre-planning, how do you keep track during the week when you've captured those photos and stories? Hi Sarah - for this project I really don't plan too ahead much. I rely more on my past experience which has taught me that I don't have to take photos of EVERY SINGLE THING throughout the week in order to love my end result. I almost always go back through my past projects just to remind myself of what I've loved from those albums - that helps me think a bit about whether I want to change my approach at all for this year. In terms of keeping track I keep all the photos organized in a separate Week In The Life™ folder in my photo management program (still using Aperture). I don't usually break them into daily folders but you could easily do that. I upload my photos at the end of each day and then also create a blog post each evening that includes my photos and words from the day. That blog post then becomes the content that I simply copy and paste into my album when I get to that part of the process (I don't do any "making" in the album itself until after the week is over - I just focus on words + photos during the week). I've done a few different things for keeping track of the stories/words during the day. Some years I have used Daily Sheets and other times I just use that time at the end of the day while I'm uploading and reviewing photos to come up with the words I want to go along with the photos. Some times I've also used Instagram to hold stories related to some photos - meaning whatever I type into the caption on IG is what I end up using in my blog post and then in my album. Here's a link to a blog post that includes what I did to get started last year. Lori // Following the same “set up” so to say for documenting each day makes getting the project done a little easier. Do you get your plan together ahead of time or just see how the first day goes and copy that the rest of the week? Most of the time I don't usually have it all planned out in advance. Last year I did a little more pre-planning but I think that was mainly opening up the kit and thinking about where things might go. Most of the time my album follows some kind of design rhythm throughout the week. I almost always have more content at the start of the week and less at the end of the week. As I have less content at the end of the week I usually make adjustments to design plan as needed. I would say that often when I begin the process of putting the album together is when I finalize any kind of actual formula I might follow within the design. Mary Sara // How do you determine what pictures to take and then use? Some things we do are repeated daily and others are not. How do you decide if you want to take what pictures including food pictures? I tend to end up with a lot of food pictures and then wonder why I took so many pictures of food. When I am taking photos for this project I am really looking to capture what makes up the pieces of my life right now. What am I into? What am I doing over and over? Where do I go? Who do I talk to? Relationships // How are people within my family connecting right now? Who am I chatting with or hanging out with? Who is part of our tribe/team at this time? I love photos where people are not looking at the camera - I love this project so much for simply giving me the opportunity to be an observer of my own life. Nature // What's happening outside this time of year? Loving // What are we all into right now? What are we reading? What are we watching? What are the words we are saying to each other (or what are the words you are saying to friends)? Eating // Photos of food definitely find their way into my album but I don't at all feel like I need to include each meal of each day (for me I couldn't fit that into my album with all the other photos I want to include). Self-portraits // It's important to see myself in my story so I definitely make a point to use my timer and get myself into my shots during this week even more so than other times when I'm just doing random documentation. I think one thing to remember is that you don't have to photograph or write out every single detail of the week. I would encourage you to challenge yourself to go beyond the food photos (unless that's a piece of the project you really love) - what else can you show us about what your life looks like right now. There have also been times in the past where I have taken the same shot every day - one year that was of me sitting at my table eating lunch. Picking one specific thing to repeat each day is another way to have a bit more consistency/design/story rhythm in your album. Traci // If using prompts like watching, listening, reading, moving, driving, do you use them each day or spread them throughout the week? Do you set up//orchestrate photos or go with the flow? Do you make a list of things you want to be certain to not miss during that week? Hi Traci - some years I have used a prompt each day to focus my journaling and other times I've tracked by time and see what I came up with at the end. I think it would be fun to use those -ing words as a story-focus for each day. For many people the simplicity of that kind of focus definitely makes the project that much more do-able. I don't usually make a list of things I don't want to miss during the week because I feel that if it's really that important it will end up being captured. I have done this project so many times that I welcome a bit of flexibility to see how I actually feel during the documenting week vs. putting too many constraints or "must do's" on myself. That said, if this is your first time I think setting up some parameters for yourself might be really smart. Traci // Do you have photo heavy days? How do you handle a photo heavy day: multiple pages, pick one or two from the day, layered templates to get as many photos as possible? Add 4x6 photos that are adhered back to back and hole-punched and added to the album. Love doing this. Use the 2x2 page protector to be able to include a bunch of small photos. Go full page and sometimes use Layered Templates to be able to include more photos. Lots of options for layered templates in a few sizes can be found here. New ones for 2018 coming soon. Again, I don't use every photo I take during the day. Photos that don't get used in this project often end up in Project Life® or are used to tell other stories in my traditional albums. Tina // Are there going to be daily sheets sized for story planner? Hi Tina - yes, I will be creating those and releasing them before the documenting week. Hi Alyssa - I think it's possible that I will paint the wood veneer pieces and cut the rubber pieces. Those are decisions I usually leave for after the documentation week. Kin Jal // As there are some elements with only six (rubber and hexagons), how will you approach the normal "repeating" formula for 7 days? Hi Kin Jal - my plan is likely going to be to include one of those large embellishments each day - either the oval or the hexagon. Any leftovers I have can be used in other projects. I don't always repeat with exactly the same design from day to day - there are usually a few elements that are repeated to create cohesion and others that are added as accents depending on the stories of the day. Lacey // My life is pretty mundane right now... empty nesters, but raising the "twin toddlers " puppies 😉, care takers and restaurant owners with no life lol I'm not even kidding 🙈🤣I take photos everyday but it seems it's just the same old tired story. I try to take most photos of the same thing or subject in a different way but right now, because everything is so routine same old different day - how do I make the stories different this time around? LACEY! Since I know you in "real life" I know you can hear my voice when I say this to you - your life is only as mundane as the story you tell about it. You have all kinds of things going on - don't base the worth of your story on whether you have kids around. Your life right now has all kinds of different pieces to it - love what's happening in your own life and give thanks for whatever it is right now. I want to totally challenge you to literally see it differently. It is not the same old tired story - it is the awesome story of your own life at this point in time. Tell me what you love about it. Tell me about the areas you are struggling. Tell me about the things you do see everyday and the things that take your breath away (if you are paying attention even in the regular routines of life they are there). I believe in your ability to change the way you are approaching the overall story of your life right now. Use your camera to show me that. PS // There are lots of people out there right now that are craving what you have - a regular routine. How can you reformat the way you talk about it and tell the story to be a positive thing? Alison // I have gotten really stumped by too many photos and what to take pics of etc. For DITL, I aim to take a photo an hour or a photo per each task of the day and I’m left with a manageable number. With WITL, should I make it 7 Days in the Life? Or is there a better approach to capturing a normal amount of photos that give a look into my life in a week? Thanks!! Excited!! Hi Alison - it's really up to you in how you want to approach this project. I think for me the hourly would still probably feel like it was too much - but I don't want to discourage you from trying that. For me, I like a more fluid approach that allows me to take photos throughout the course of the day as I see the stories presenting themselves. This is a big project and it definitely takes effort but it's so worth it! One approach you could consider is a morning/afternoon/evening approach vs. the hourly approach. That might be more fun and more sustainable over the course of the week. Also, you could always start off with the hourly approach and then switch it up if it felt like too much for each day. Have fun with it! Rina // Process for selection and organization, and printing of photos. This one is still the toughest part for me. Also your tip to use up a few minutes each day to delete photos from the DSLR before transferring to the computer has really helped me. Thanks for that. Hi Rina - I am a notoriously quick decision maker when it comes to deciding on the photos. As I mentioned above I upload at the end of each day and share the photos from the day on my blog. I think that in and of itself helps me work quicker because I have a "deadline" in place. I don't always include all the photos I share on my blog in my actual album but most of them make it in there. I save my photos into a Week In The Life™ folder (you can do one big folder or break that down into days to easily identify which day a photo was taken). During this time I also usually delete duplicates. Remember that whatever photos you choose will be helping you to tell your story. Whether you choose the one with someone slightly off center or centered is so not that big of a deal. In terms of printing, I print at home and that continues to be the best choice for me for sure with the most flexibility. I often change the orientation of photos in Photoshop from vertical to horizontal and vice versa when I'm actually printing them for my album - printing at home allows me to experiment and work as I go vs. needing to get all the photos "just right" before uploading them to a printing service. Currently I'm using an Epson PictureMate PM400 for 5x7 and smaller (all my 4x6 get printed with this printer) and a Canon MG7720 for the 6x8 images. Sonya // Can you give basic tips to stick with the process for someone trying witl for the very first time. Especially tips to keep going for those who tend to procrastinate and/or stop creating right in the middle of doing a project. Pace yourself. Remember that this is a week-long project and plan accordingly - you don't have to capture every single thing every day. Focus on the photos + words during the actual documenting week and then put your album together after the fact. I don't approach this project in the same way I approach December Daily® - for this project I wait to do all the crafting/album making until after I have all the words and photos collected. I find that breaking it up into two very specific parts helps me vs. trying to do it all at once. All you have to do during the week is take photos and jot down stories. You can do that! The more times you embark on this project the more you will find your own way - your own average number of photos, your own approach. 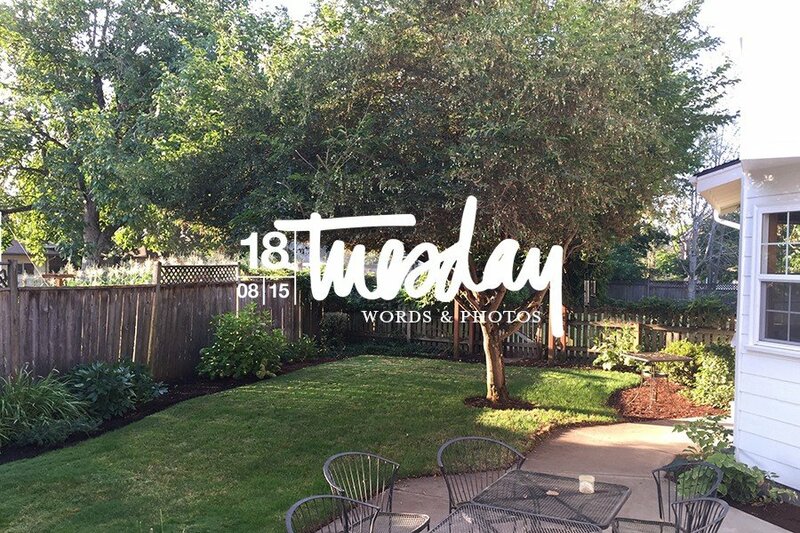 If you have a blog consider using it as a holding place for your words + maybe for your photos. It's really worked well for me to do my write-up at the end of the day and then use that content for my album (copy and paste vs. trying to remember). Use the timeline + the 4x6 cards from the Week In The Life™ kit - that's a super easy way to document your story. Just have fun. Find your own rhythm which might look totally different than mine + is totally okay. Theresa // Do you set out with a plan to take X number or vertical and X number of horizontal pictures? Hi Theresa - I don't, mainly because I usually just crop them in Photoshop when I'm adding them to my album regardless of the original orientation. Up until this past year I took almost 100% of my photos horizontally. Now that I use my phone more and am used to using it for Instagram Stories I've started taking significantly more vertical photos. 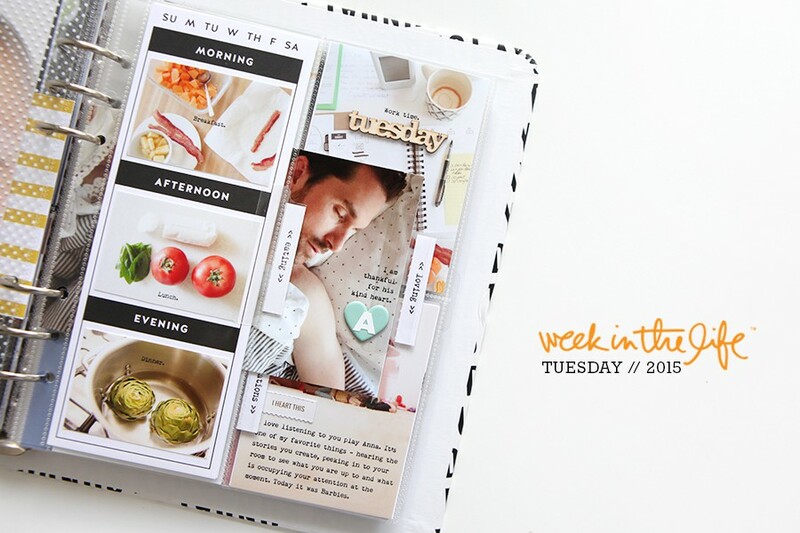 You could easily do this based on the page protectors that are included with the Week In The Life™ album. If you don't want to add any more page protectors or photos outside of the album then counting the number of pockets up in advance totally makes sense. Jay // How do you stay the course & motivated through the week? For me it’s following your progress! You’re like the guide leading us through the project. Hi Jay - I totally get tired by the end and am always ready for it to be over by the weekend - ha. That said, I love these albums and I absolutely know that the process is worth it. I am super motivated by the focused photo taking opportunity - especially since I don't take as many photos overall compared with what I feel like I used to take. So when I start feeling fatigued I challenge myself to play with my camera a bit more and see what else I might be able to capture that I haven't throughout the week. Lea // Since I already do weekly project life what are some tips to document a witl differently? Hi Lea - thanks for asking this! As someone who also does both projects, what I find is that Week In The Life™ is a significantly deeper dive into what happens around here vs. the story I tell in my weekly Project Life® spreads. Here's a look at my Project Life® spread from the week I documented Week In The Life™ in 2017. For Project Life® I usually include one photo per day. In Week In The Life™ I include way more that really tells a more complete story of each day - much closer to the amount of content I collect for Day In The Life™ than Project Life®. Use this awesome opportunity to go deeper. You might want to look through your Project Life® album and see what kinds of stories are missing - that may give you a focus point for how you want to approach this project this year. Ask yourself how you can capture the rhythm of your week - think about what you "usually" do on Mondays, on Tuesdays, etc at this point in time. What's the general flow of your days? Also, I loved this response from Linda in the group: I document things that never make it into my regular weekly documentations- like gas prices, grocery carts, small details around the house, text messages, newspaper headlines, music play lists.....Looking back and comparing to the first week in the life book 9 years ago.... I’m always surprised by how many of the details have changed without my noticing. Amanda // I realize most of our daily routines don't change much, even year to year. How do you capture daily life in a fresh way? I worry my week will turn out like last year's, since most of my routine hasn't changed much. Though I also recognize I'll see things differently. So wondering about how to keep WITL fresh and new. Hi Amanda - my first question to you would be to ask you if your routine is really the same :). Sometimes people say that but once they start thinking about it more and taking a closer look at their life they begin to see the little things (or maybe even bigger things) that are different. To be honest, I actually welcome the regular routines that don't change because what I have learned in my life is that sometimes those routines change quickly and all of a sudden things look totally different. If your life is the same from year to year than CELEBRATE that. Don't equate sameness with something that's bad or boring. And if it is boring than maybe this project is an opportunity for you to see what kinds of changes you might want to make in your life so that you love it more. I've been in both places - I've longed for something different and I've longed for the sameness of things from the past. Both were simply pieces of time in my life and those are the kinds of things I want captured in my albums. We are always growing - that is a truth of our lives as long as we are breathing. I would totally challenge you to adjust the way you are looking at your current routines. I honestly jump into this project each year looking forward to being surprised. I am always surprised by the things that are the same + how the way I look at them might now be different. Sure, I still work from home + the main cast of characters in my story this year are the same ones from last year + I still have cats + I'll probably take some of the same photos as I've taken in the past and that's actually part of what I LOVE about this project. I can't wait to see what stories you tell this year. Cheri // What suggestions/ideas do you have for keeping it simple? But still capturing the daily stuff of life? Hi Cheri - I think if I really wanted to keep it simple I would count up the number of page protector pockets and write that down and take that number of photos (including orientation). That will make it easier when it's time to print - especially if you are someone who gets stuck in the process of selecting, editing, and printing photos. Look though the products in the kit (if you ordered it) and see if there is a design rhythm you want to follow. You might want to have the daily cards out and even just write out your story of each day on those cards (or highlights). The "today's details" pad + the 4x6 cards should make it really easy to get your story told - don't make it more complicated than it needs to be. For me, using my blog as a holding place for my stories + making myself write them at the end of the day really does help simplify the overall process for me. Gail // I would love a little "product play" and/or setup ideas in April. What I enjoyed about DecDaily was that a few things were set up ahead of time and so each day was not a blank canvas. 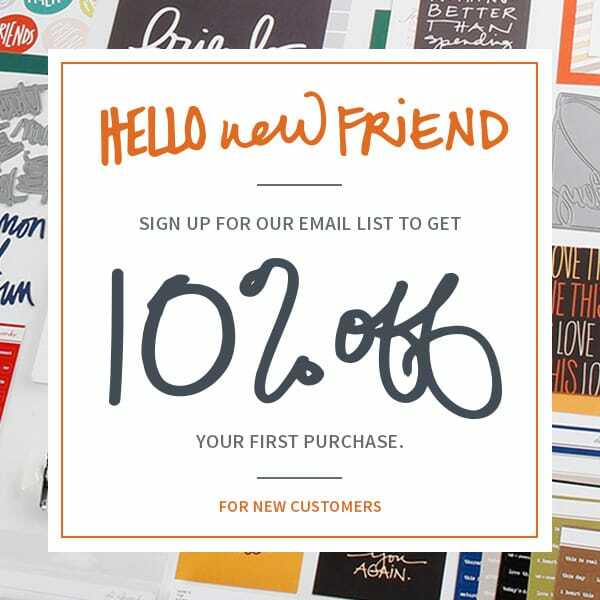 Hi Gail - I don't have any plans for a Product Play workshop like I did last year for December Daily®. I will likely have a few getting ready posts like I have done in the past but my personal approach to this project is totally different than December Daily® - I focus on the full week of words + photos before I dive into the album-making portion. That said I will defiantly share any set up I might do in advance here on my blog. Thanks everyone! As we get closer I will share more thoughts/plans on my approach (if it changes) for this year. I hope this was helpful for you - please feel free to add comments/suggestions/questions in the comments below. Thanks Ali for this post. So looking forward to WITL. I love that quite a few of your creative team will be using the 3X8 binder for WITL. And SUPER HAPPY that you will provide Daily Sheets sized for the Story Planner!!! Looking forward to May! I'm pretty sure I read somewhere that the digital version of WITL products were being released in early April. I'm hoping that you're going to release some 3x8 templates to use with the new size album. I noticed that the spine on that album is only 1.5 inches so I'm thinking digital is the way to go - at least for me. Any chance that you're definitely releasing some 3x8 templates? Thanks Ali for this post. It's always helpful to get the creative juices flowing! Yes, the release will include 3x8 templates. They will be released on Friday. Hi Ali, I'm looking forward to playing along again this year, and love seeing how things have changed & stayed the same in our lives. One thing I've learned is to not restrict your photo's to just that week. If you've taken a photo the week before of say, your kids' toys or a tree etc and you love it, and it's still true to the story of that week, include it. It takes pressure off especially finding nice photo's for the enlargements. ok, now i'm even more excited!! let's do this!! Totally applauding your answer to Lacey. "It is the awesome story of your own life at this point in time" - THIS is a terrific mantra. I totally took a screenshot of Ali's response because I was smiling from ear to ear after reading it. Such an awesome perspective from Ali's point of view. It's something we can all relate to when we get stuck in that "my life is so mundane" attitude - I've been there. Love this! I looked back at my three albums and much of my life is the same and so much is different too. I love seeing that, even though life feels mundane sometimes. From the first year I did WITL to the second year, my older daughter started driving. I hadn’t even realized how different my life looked until I documented it and saw how much less I was in the car. It was so cool to discover that through my documentation of Week in the Life! After reading through this, I had a revelation! I have 6 children ages 5 to 16 and I'm going to assign one day for each person with a theme of "i see you." I'll have my older children document their own days with question prompts to help them along and I'll document my day and my littles'. My husband can do one day too! That will make up 8 days, but I don't mind an extra day. I'm SO excited!! I wasn't sure I was going to be able to do it this year, but I'm super inspired. Love all you do, Ali! I love this. 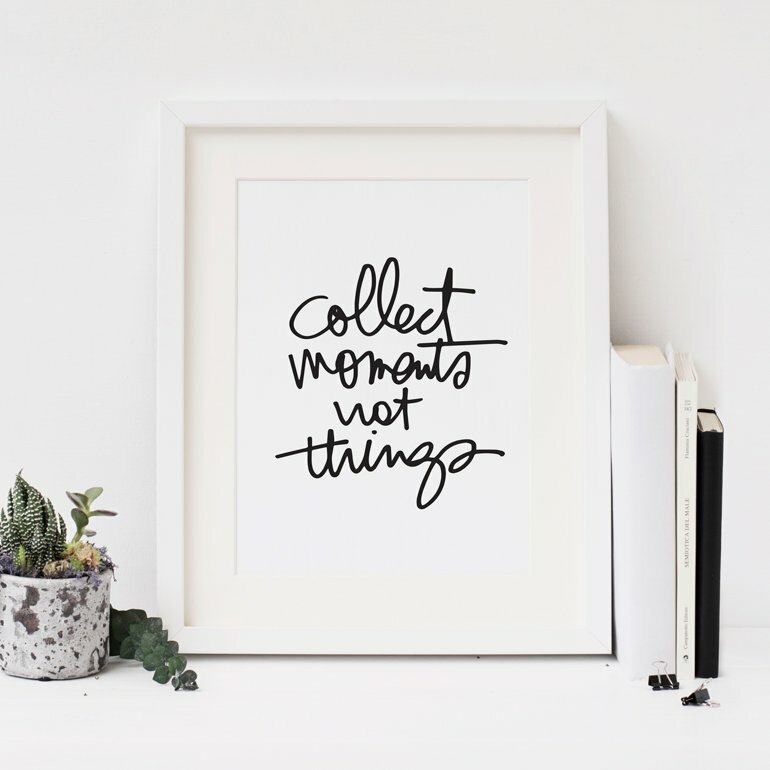 I was actually thinking this same genera idea when I was driving in the car yesterday - but thinking about ways I could assign each one a day and then have them take photos of their day. Yay! Similar thought here. I love this approach as a deeper dive into each person's life. I love telling my story and their story, as I see it, but I would love to have more of their own viewpoints and words captured. So fun! Thanks for your inspiration as always Ali! I'm doing mine next week and this has been super helpful. Great tips and reminders. My main goal is to celebrate our everyday and keep it simple. I've got a plan to finish this year and am determined to make it happen. Hopefully going to have a staycation planned during the official week so maybe with that extra time + inspiration from you and the WITL community it just might happen! Thanks for this! I'm looking forward to participating! I love the idea of taking the same shot everyday, I know you mentioned you took a pic of yourself eating lunch everyday, thats great. I'm trying to come up with some other ideas as well, if anyone else has done something like this please suggest! Will there be any 8.5X11 digital templates this year? Hi - we are not offering 8.5x11 templates this year. I finally read your post, Ali and your response to my question. THANK YOU! I needed to hear those thoughts as I'm processing how I want to approach WITL this year. You're right - my routine isn't totally the same! It's not completely different but after reading your post, I'm seeing my daily life in a whole new way and embracing the routine I do have. Plus, this is my last WITL in my current home, which I'm totally documenting. As well as the renovation work on my new home. It didn't dawn on me until recently to include that. Should be an interesting May and WITL! Thank you again! I am a physical scrapper as I have not learned yet how to do digital. It seems I am much more limited in the outcome of my layouts. The digital ones are way cooler. Any suggestions for me to help my layouts look better are welcome. Hi! Are you interested in learning some digital techniques to add to your paper projects? If so you should check out my Hybrid workshop. It goes over the basics targeted to people who want to include digital pieces into their paper projects. More details here: https://www.aliedwards.com/shop/classes/hybrid-self-paced. I do a combo of mostly paper/physical products mixed with a little digital - that works really well for me. Thanks. Sounds perfect since I have so much invested in paper products.